​Definition. The ketogenic or keto diet consists of a high fat diet with very low carbohydrates, and no sugars whatsoever. It may also include chemicalized foods and alcohol. As one begins to burn fats and oils almost exclusively for fuel, the body produces chemicals called ketone bodies, or ketones. Hence the name, the ketogenic diet. How it works. The keto diet causes the body to burn fats and oils for fuel, rather than sugars or starches. This causes many changes in body chemistry, some of which are discussed later in this article. Why it is popular. Most people today overeat on starches and sugars. For this reason, if one switches to a keto diet, many people feel much better for a while. They can lose weight, and health symptoms may go away. Problems. However, if one stays on a ketogenic diet for more than a few months, often nutritional deficiencies and other imbalances occur. This article discusses the benefits and problems with a keto diet, and how to correct them. Studies show that a ketogenic diet may be of help in about 50% of cases of seizures or epilepsy, especially in children (most of whom are fast oxidizers). It also causes quick weight loss in some people, and it has been used successfully to kill some kinds of cancer. It is also helpful for those with chronic systemic yeast infection. It may also be helpful for some diabetics, and for building muscles. Some body builders use it to help them “bulk up”, as this is an effect of eating a lot of fat. Some women like the keto diet because the high fat provides some estrogens. This can cause a woman’s body to be more shapely, with larger breasts and hips, and a narrower waist line. Unfortunately, estrogens also contribute to cancer. The keto diet is also tasty and fairly easy to follow as long as one likes meat, eggs and other fatty foods. Low insulin. The level of insulin stays very low on this diet, which can be a benefit. The reason for this is that eating sugars or complex carbohydrates causes the secretion of insulin. By limiting carbohydrates in the diet, insulin secretion diminishes. 1. Nutrient deficiencies. It usually does not include enough cooked vegetables. Cooked vegetables in large quantities provide hundreds of phytonutrients that we seem to need today to offset widespread environmental pollution. This can be a major problem with this diet. 2. Yin problems. The ketogenic diet includes coconut oil, avocado, nuts, seeds, olives, nut butters, seed butters and perhaps palm oil. The diet also includes raw vegetable salads. It also allows some lemon, lime and grapefruit. These products are all quite yin, in macrobiotic terms. If one eats them regularly, they will eventually unbalance the body. This is a very serious problem, although most doctors and nutritionists do not pay attention to it. It can easily cause the diet to stop working for seizures, for example. A. Those with a slow oxidation rate do not do well on a high-fat diet. This is explained in the article entitled The Oxidation Types on this website. B. All fats, particularly animal fats, contain some estrogens. Consuming too much is associated with a greater likelihood of developing cancer, regardless of other benefits of this diet. 4. Acid-forming. Fats, oils, meats and eggs are all acid-forming foods that are plentiful on a ketogenic diet. If not balanced with a lot of cooked vegetables, this is an unbalanced diet. 5. Fermented food. A ketogenic diet may include a lot of fermented foods. I find this unhealthful. This problem is explained in more detail below. 6. Other. Some ketogenic diets allow poor quality or chemicalized foods such as alcohol, artificial sweeteners, preservatives, and other food additives. Also, totally eliminating grains from the diet can cause subtle nutritional problems. For example, some people find that eating whole grains stabilizes the nervous system. Some people who wish to follow a nutritional balancing program also want to do the ketogenic diet. I do not encourage this, because I think it is difficult and usually not necessary if one follows a nutritional balancing program properly. ​1. Eat mainly cooked vegetables, not mainly meat or eggs or fat. The most important modification needed is to eat 3 cups of cooked, not raw vegetables each meal, at least three times daily. Cooked vegetables must be the main part of each meal (about 70% or more) in order to obtain hundreds of vital minerals, vitamins and other phytonutrients. Many people on the ketogenic diet eat mainly meat, cheese or eggs. This is a very unbalanced and deficient diet. It may help epilepsy or some other problem, but it is setting the person up for long-term serious nutritional deficiencies. Beware that many cooked vegetables have a little carbohydrate in them. Sweet potatoes, yams, carrots, parsnips and even onions have quite a bit of carbohydrate. For this reason, one must limit which vegetables one can eat, and this is not so easy and not helpful nutritionally. So this is the challenge if you wish to follow both a nutritional balancing and a keto diet at the same time. 2. Eat cooked, not raw vegetables. These will provide much more mineral nutrition, as the body does not absorb minerals well from raw vegetables. This modification will also make the diet far more yang, in macrobiotic terms, and this is much better. 3. Avoid the nightshade vegetables (tomatoes, white and red potatoes, eggplant and all peppers). Also, avoid cucumbers, and most okra, asparagus, celery, artichokes, mushrooms, and summer squashes. This modification will also make the keto diet more yang, which is very beneficial. The nightshade family of vegetables and the squash family of vegetables, for example, are really fruits, and are more yin. The other vegetables are slightly toxic, I find, so they are best eaten sparingly. 4. Avoid all fish, shellfish or seafood, except for 3 to 4 cans of sardines per week, for adults. The reason for this change is that today’s fish and seafood – all of it – is highly contaminated with mercury, and at times, other toxic metals. Sardines are better because they are very small, contain much less mercury, are mainly wild-caught, and are very nutritious. It is fine that they come in a can. Even sardines contain some mercury. For this reason, please limit them to 3 or 4 cans weekly for adults and less for children. If you want to eat more sardines, make sure they are boneless, as these seem to contain about half as much mercury as the others, and they can be purchased this way in the supermarket. These can be eaten a little more frequently. 5. Strictly avoid lemon, lime, citrus, avocado, palm oil and coconut products. These are all tropical or subtropical fruits. Although they contain very little sugar, they are extremely yin in nature, and therefore less healthful today. 6. Avoid nuts and seeds, including peanut products. Although they contain many nutrients, these foods are more yin and, we find, slightly toxic. Peanuts and peanut butter often contains some aflatoxin, a lethal mold, even if the product is fresh. Exceptions are that one may eat some toasted or roasted almond butter. Nut butter is easier to digest, and the roasted almonds are more yang and less toxic, according to our experience. A little bit of other nut butters is okay, too, but only once a week or so. 7. Avoid all alcohol. Alcohol is toxic and best avoided. 8. Avoid all pig products such as ham, bacon, pork, lard, chorizo, sausage made with pig intestines, and others. While pig products can be nutritious and free of sugars, they often contain some parasite eggs, even when well-cooked. An exception is that I use porcine pancreatin as a food supplement. This has never caused a problem that I am aware of. 9. Avoid all chemicalized foods and junk or poor quality foods. Some of these are found in many keto diets. 10. Avoid most fermented foods. The keto diet may allow things like Kombucha tea, which is toxic. Fermented foods that are okay on a nutritional balancing program are yogurt, kefir, raw cheeses, sour cream, miso and a little sauerkraut. I would avoid the others. 11. Always use sea salt, rather than common table salt. Although sea salt has a little mercury and other toxic metals in it, it is much richer in vital minerals that our bodies require than the common table salt. Table salt may also contain added aluminum or other chemicals. 12. Have only ONE protein and/or ONE type of fat per meal. The reason for this is that it is much easier to digest. Protein foods are not that easy to digest, and eating a cheeseburger (meat and cheese) or chicken and cheese, or steak and eggs, are difficult food combinations to digest properly. This causes problems, especially when digestion is weak, as it is in most people. 13. Eggs must be cooked lightly, so the yolks are runny. Otherwise, the hard egg yolk and hard egg white are much more difficult to digest and utilize properly. Also, do not overcook meats. 14. Cheese should be raw, ideally, meaning made from unpasteurized and non-homogenized milk. Also, only eat up to 4 ounces daily. Some people are eating too much of it. The keto diet does not permit milk, which is quite sugary. 15. Avoid the non-caloric sweeteners such as Aspartame, Saccharin, Splenda and most others. These are not healthful products. A little stevia is better, but only a little now and then. Xylitol is a sugar that is not absorbed well, and a little is okay, but sweeteners are not generally recommended and cause problems for some people. In the nutritional balancing dietary system, people are classified as fast or slow oxidizers. This assessment has to do with two mineral ratios on a properly performed hair mineral test. It is a reflection of the activity of the central nervous system, and the thyroid and adrenal glands. 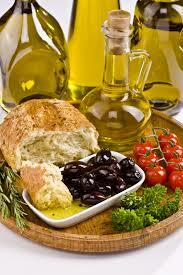 Fast oxidizers require more fats and oils in their diet. These tend to balance the oxidation rate and improve health, sometimes dramatically. For this reason, a diet more like the ketogenic diet often works well in these individuals. However, they still need about 70-75% cooked vegetables in their diet and only 1 or 2 tablespoons of fat per meal. In contrast, slow oxidizers often have trouble digesting fats and oils. They also seem to need more protein, and some complex carbohydrates. For these reasons, these individuals may not fare as well on a ketogenic type of diet. Their oxidation rate may remain too slow and this will cause health problems, sooner than later. A ketogenic diet can slow the oxidation rate. George Watson, PhD, Paul Eck and others noted that a high-fat diet tends to slow the oxidation rate. This is why more fats or oils are given to fast oxidizers, while less fats and oils are often best for slow oxidizers. Please keep this in mind because the wrong diet will slow or stop progress on a nutritional balancing program. The other thing that will slow or stop your progress with nutritional balancing is not eating enough cooked vegetables with each meal. DO YOU NEED A KETOGENIC DIET? * Seizures will generally diminish and go away. Please read Epilepsy on this site. * Weight loss occurs easily with nutritional balancing, without needing a ketogenic or Atkins type of diet. For more on this important topic, please read Weight Loss on this website. *Diabetes and hypoglycemia improve and go away easily, in most cases. Please read Diabetes and Hypoglycemia. * Cancers often improve just with a nutritional balancing program, if it is set up and followed correctly. Please read Cancer And Alternative Therapies on this website. Therefore, I rarely recommend a ketogenic diet. Most people who try to follow a keto diet end up eating too few cooked vegetables, and therefore slow down their own deeper and more complete healing process.